This practical guide provides a hands-on approach to diagnosis and management of swallowing disorders, designed to help readers establish a basis for clinical decision-making regarding dysphagic patients. 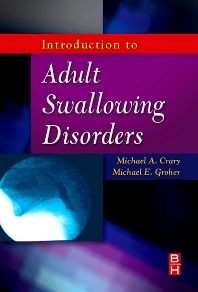 Beginning with the anatomy and physiology of swallowing, it explores the range of swallowing disorders, the clinical and instrumental examination, and treatment strategies. Clinical decision making and treatment options evolve logically from the preceding chapters. Easy-to-read discussions simplify complex issues. Both authors are nationally recognized leaders in the field, and readers will benefit from the expert clinical tips they provide in this manual. Provides essential coverage of the range of swallowing disorders, the clinical and laboratory examination, and treatment strategies. Includes expert clinical tips from the authors who are nationally recognized as leaders in the field. Offers a hands-on, treatment-oriented approach to the diagnosis and management of swallowing disorders. Pedagogical features include Take Home Notes, Case Studies, Chapter Terms, and Chapter Review Questions. Chapters are easily treated as separate lecture topics, making this text ideal for classroom use. One-of-a-kind, entry-level text provides balanced coverage of the full spectrum of knowledge needed to prepare one entering the field of dysphagia management.